Johannes Brahms composed his Variations on a Theme by Joseph Haydn in the summer of 1873 at Tutzing in Bavaria. It was originally scored for two pianos but orchestrated shortly afterwards. 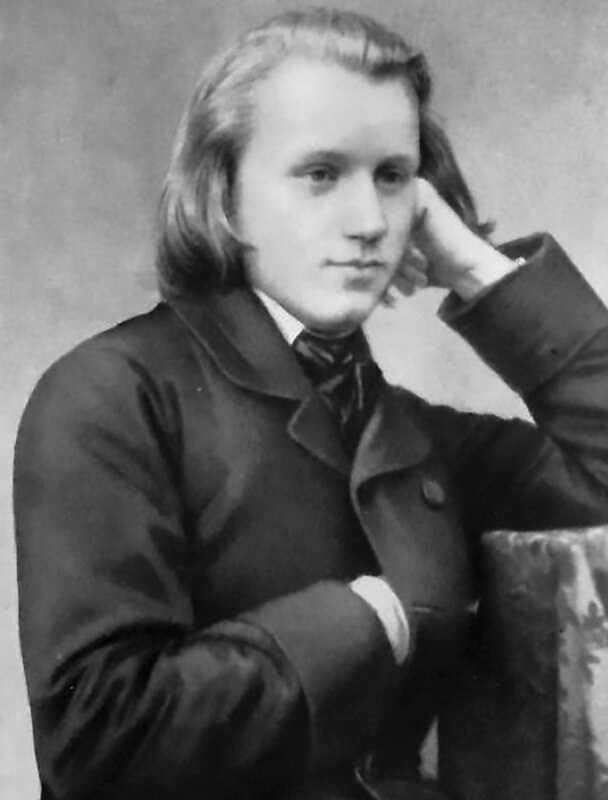 The first performance of the orchestral version was given on 2 November 1873 by the Vienna Philharmonic Orchestra conducted by Brahms himself. Brahms' source for the theme was a divertimento for wind instruments published under the name of Joseph Haydn. The title of its short second movement was "St. Anthony Chorale" and this movement is stated, almost unaltered, at the opening of Brahms' variations. It is now generally thought that the theme was not composed by Haydn as it does not contain his stylistic traits. Some music scholars have suggested it was written by Ignaz Pleyel, but there is not clear evidence for this. Nineteenth century music publishers were commonly to blame for confusions of this kind since they frequently published works by lesser composers under famous names in order to boost their sales. There is also uncertaity as to whether the composer of the divertimento actually wrote the St. Anthony Chorale or simply quoted an older theme. Because of these uncertainties the piece is often referred to as the Variations on the St Anthony Corale, rather than by Brahms' original title. Brahms obviously intended the work to be a tribute to Haydn. In the coda of the finale he quotes directly from the second movement of Haydn's clock symphony, which he regarded as one of the greatest symphonic movements of the classical period. The theme itself is notable in the fact that it uses five rather than four bar phrases, and this curious phrasing is repeated by Brahms throughout the variations. The finale uses a five bar ground base derived from the theme an is itself another set of variations. The individual variations are a rich tapestry of musical invention. They sometimes refer back to earlier eras of music, using complex counterpoint in places, yet the work remains firmly in the late romantic style. The orchestral writing is wonderfully varied, expressing dark brooding mystery in places and lively exhuberance in others, culminating in the finale which brings back the theme in a triumphant balze of colour. Brahms' Variations on a theme of Haydn was performed by the Portobello orchestra on the 2nd March 2013, conducted by Matthew Rogers.